Welcome to the Rusted Desert. 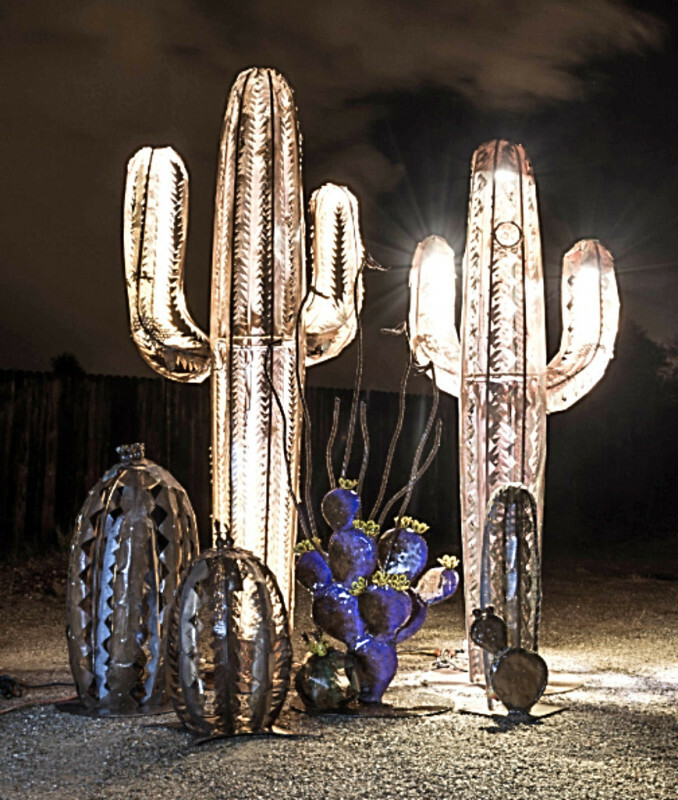 We have been in Tucson for about 45 years, and have a special appreciation for everything that the Sonoran Desert offers and exhibits.We take pride in creating steel art that is life-like, sturdy, and beautiful. We use the highest quality automotive clearcoat for ultimate UV protection, rain water for the deepest, richest rust and recycled steel when availible. Our pieces are hand-crafted for landscape art , patios, and even for display indoors. There are many options, sizes and functions, and custom pieces can always be created upon request. Thanks for stopping at the Rusted Desert.